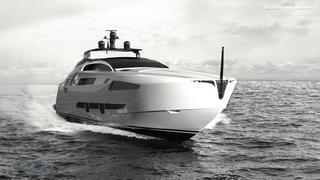 Ferretti Group has launched the Pershing 140 superyacht, which is now the flagship of the Pershing brand. 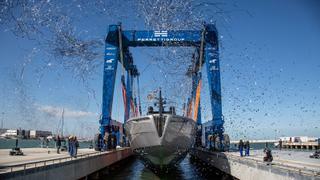 The 42.57 metre yacht was launched on Saturday, February 23 during a ceremony awash with celebratory confetti. She has now been named Chorusline. 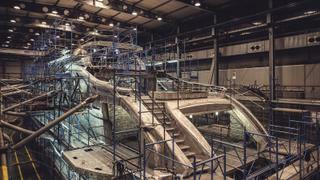 Meanwhile, the second hull of the series is already under construction and due for completion in September this year. Chorusline will now set off for Hong Kong before it is officially presented in the coming months. Speaking at the launch ceremony, Ferretti Group chief executive Alberto Galassi described the Pershing 140 as "an engineering masterpiece". "The launch of the first unit marks a landmark for the history of Pershing and the commercial strategy of the Ferretti Group." The yacht was first announced at the 2015 Monaco Yacht Show with its sale announced at the show a year later. The owner is from continental Europe and was seduced by the sporty, powerful lines and innovative on-board features, Pershing previously said. The Pershing 140 is the result of close collaboration between Ferretti Group’s Pershing team and naval architect Fulvio De Simoni and will become the flagship of the range, as well as the first Pershing yacht to be built in light aluminium alloy. Galassi previously said that the initial pictures of the new flagship give him “a shudder of excitement”. He said he was “sure the Pershing 140 will be the greatest thrill ever in Pershing’s history”. 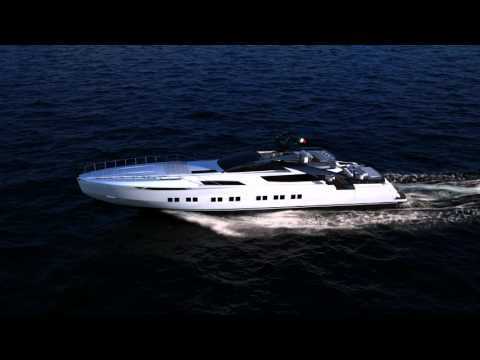 Fulvio De Simoni, who has penned all of the Pershing models since 1985, said the design is highly innovative. However he has stressed they have made “the least possible invasive changes, preserving those iconic design elements that make every single Pershing yacht truly unmistakable at first sight”. The sporty, competitive character loved by Pershing owners has been reflected in the steel grid on the bow, which is reminiscent of a coupé car. The designers have aimed to combine this aggressive sporty personality with smart engineering features to ensure maximum comfort on board. Two winged arches, integrated into the superstructure, create a sheltered private lounge on the aft deck and create a distinctive look, very much in keeping with the latest generation of Pershing designs. The aft part of the main deck has been raised into a mezzanine level, giving more space for a huge superyacht beach club with fold-out sides. Launching the tender and Jet Ski creates even more lounging space in the beach club. This area also boasts easy access to the sundeck, creating a multi-level outdoor space for the owners and their guests to enjoy. Another notable design feature of the Pershing 140 is the concealed private area forward on the upper deck. When the yacht is anchored or moored, the otherwise hidden area is opened up to reveal a customisable zone for taking in the sun. A wide-body owner’s suite on the main deck has been achieved by raising the forward part of the hull. Four further guest suites on the lower deck, arranged as two doubles and two twins, bring the total accommodation to 10 guests. Below decks the well laid out crew areas provide hidden access from the comfortable living quarters through the engine room to the garage, as well as accommodation for a staff of up to seven people. 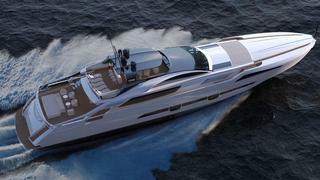 The Pershing 140 has three possible engine configurations on offer. Owners can choose between two variations of the twin MTU 4000 M93L engine set-up, either 12V or 16V, with hydro-jet propulsion to take the yacht to 24 knots and 33 knots respectively. However, the owner of hull number one has opted for the most powerful option of four 2,600hp MTU 12V4000 M94 engine that should deliver a blistering top speed of 38 knots. A state of the art stabilisation system will provide maximum comfort, even at the sporty speeds that Pershing is renowned for.